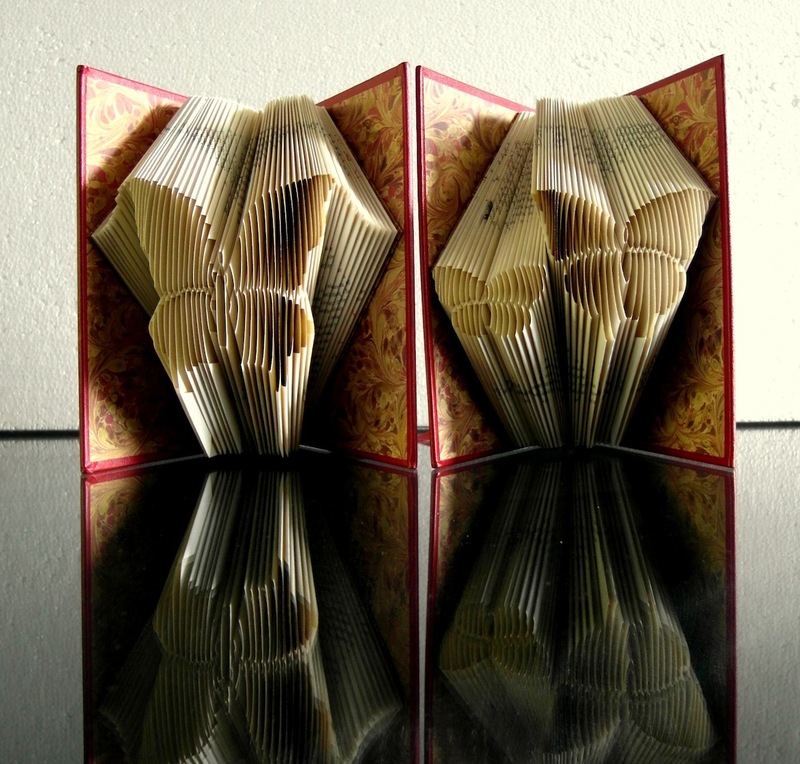 Vintage leather bound books, folded anew. 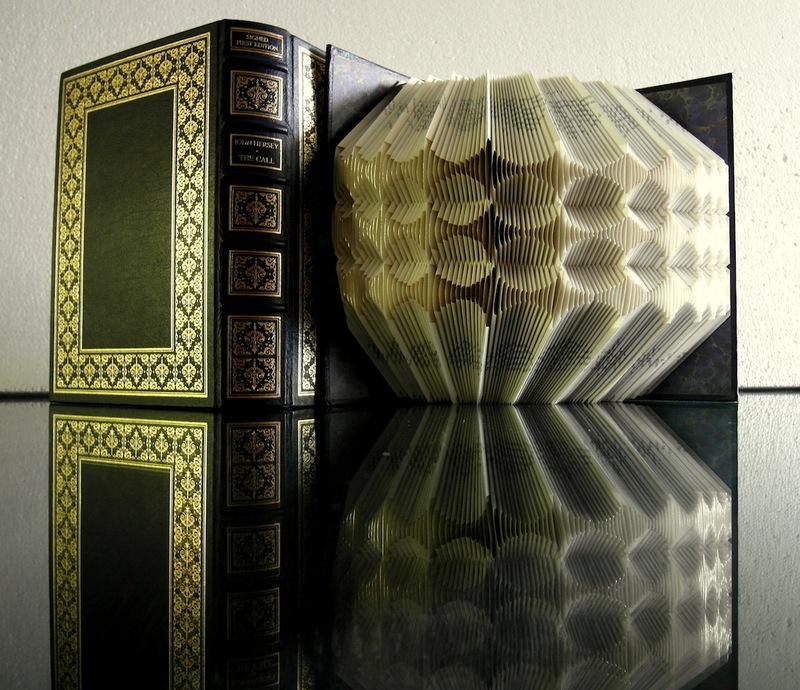 The Plush Series of book sculptures are special because they have been fashioned from vintage books that exemplify the best of the books binder’s craft. 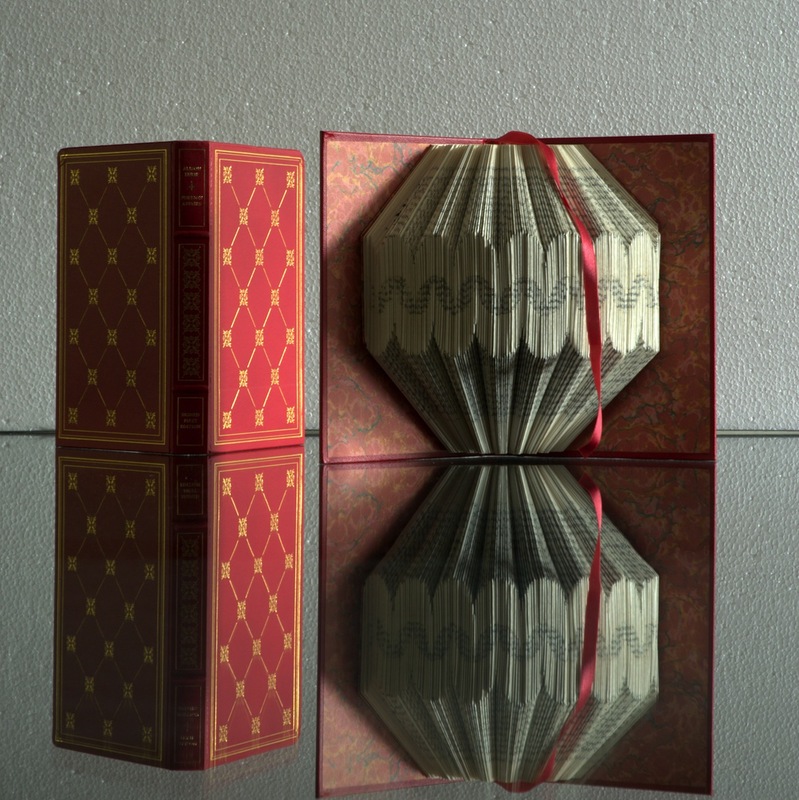 These old volumes from The Franklin Press are bound in real leather, embossed with 22 k gold and printed on acid neutral paper. 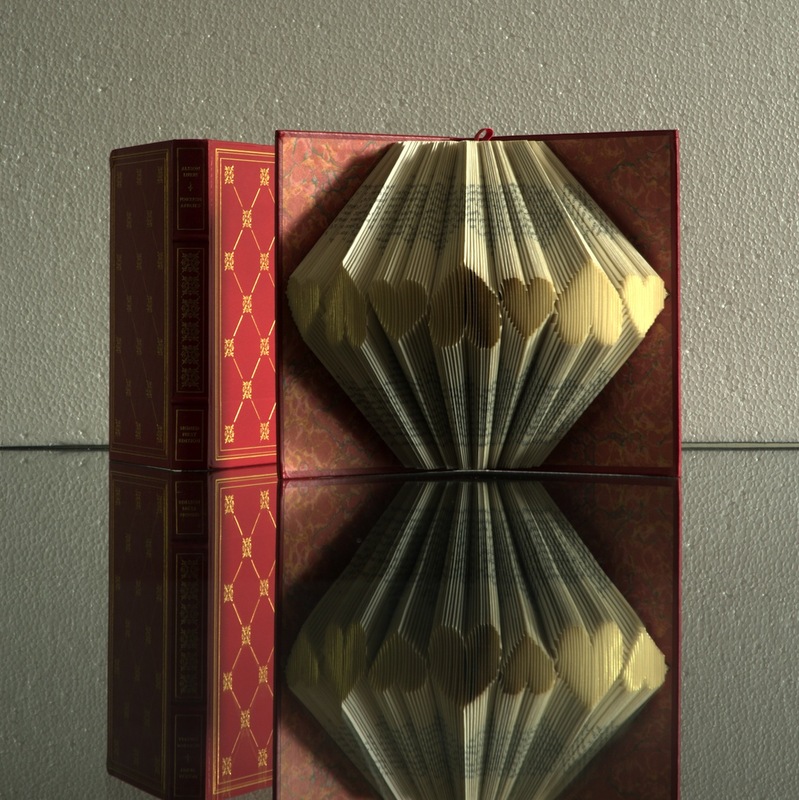 They were a serendipitous find - they had been lying in a dark corner of a warehouse for 30 years and were found in perfect condition, still wrapped in their publisher’s seal. 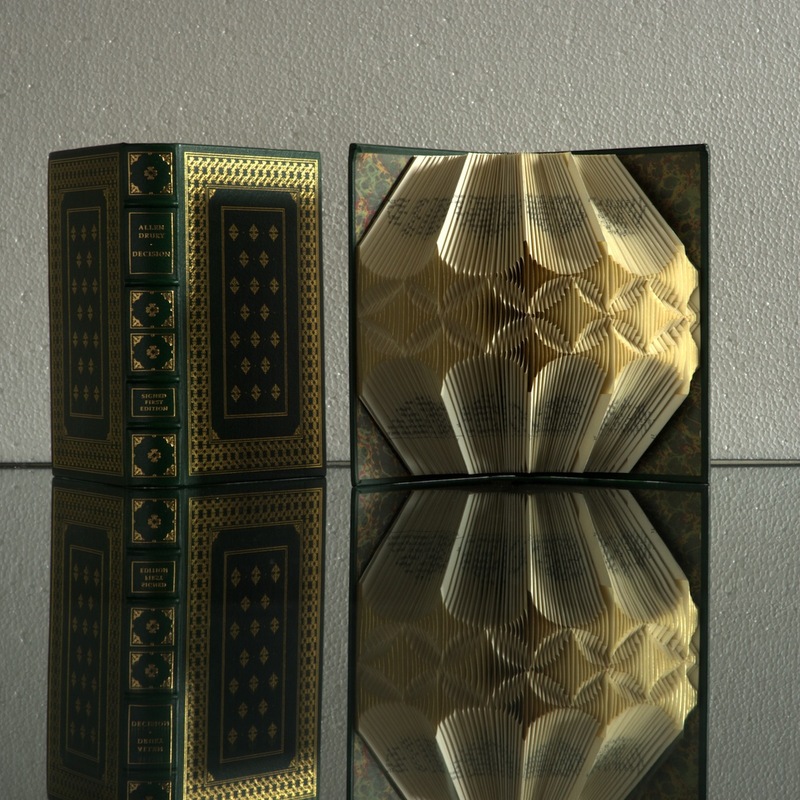 These books have been reconfigured by the artist, through a process of folding each page with precision – and without any cutting or pasting – which transforms them into exquisite pieces of art. 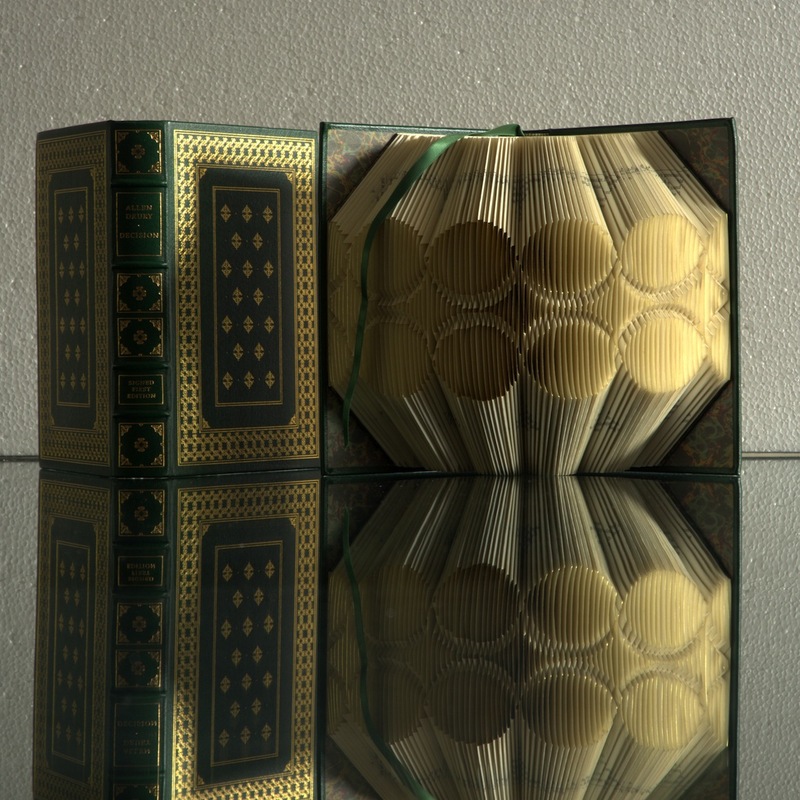 The folded pages blossom into a form, with the gilt edges outlining an intricate tracery. 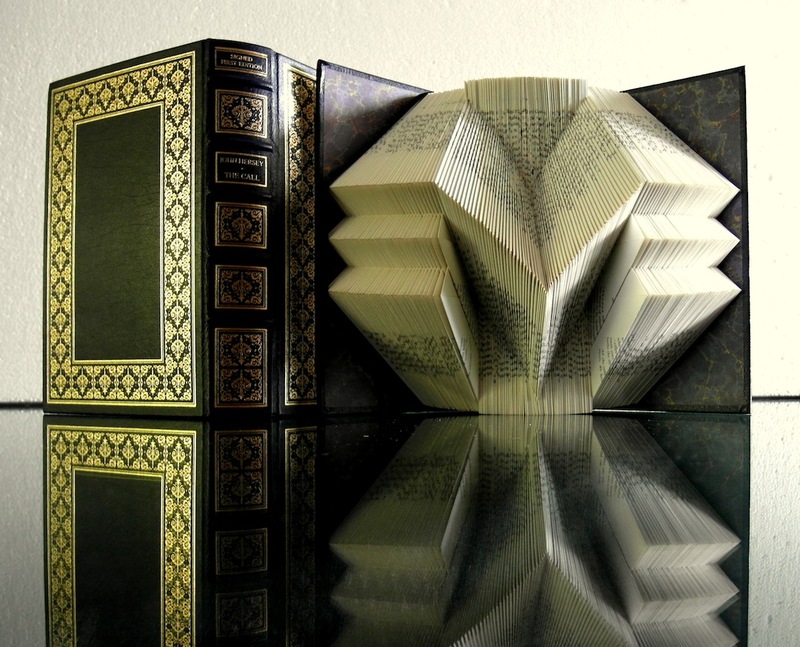 The marbled end-papers create the backdrop for the three dimensional pages. 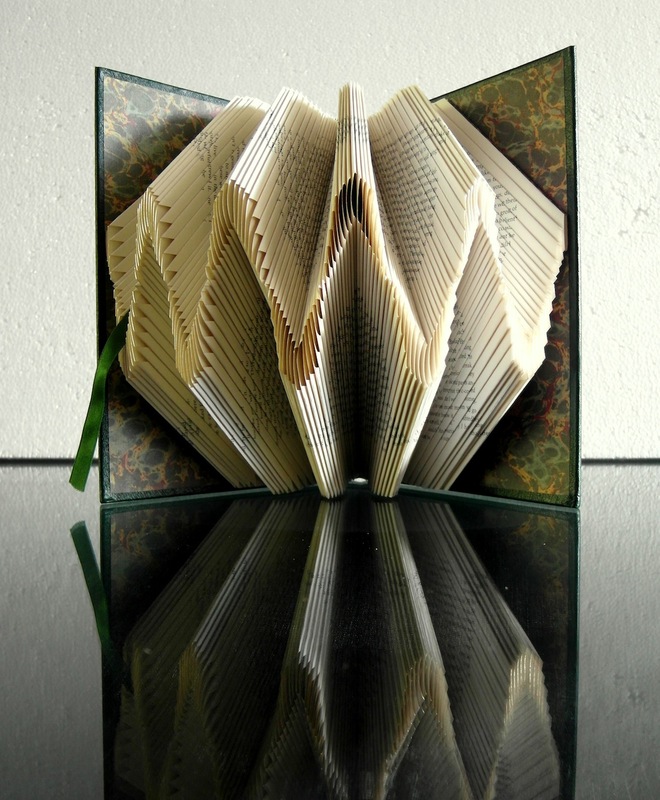 The matching silk bookmark trails down the ‘face’ of the sculpture. 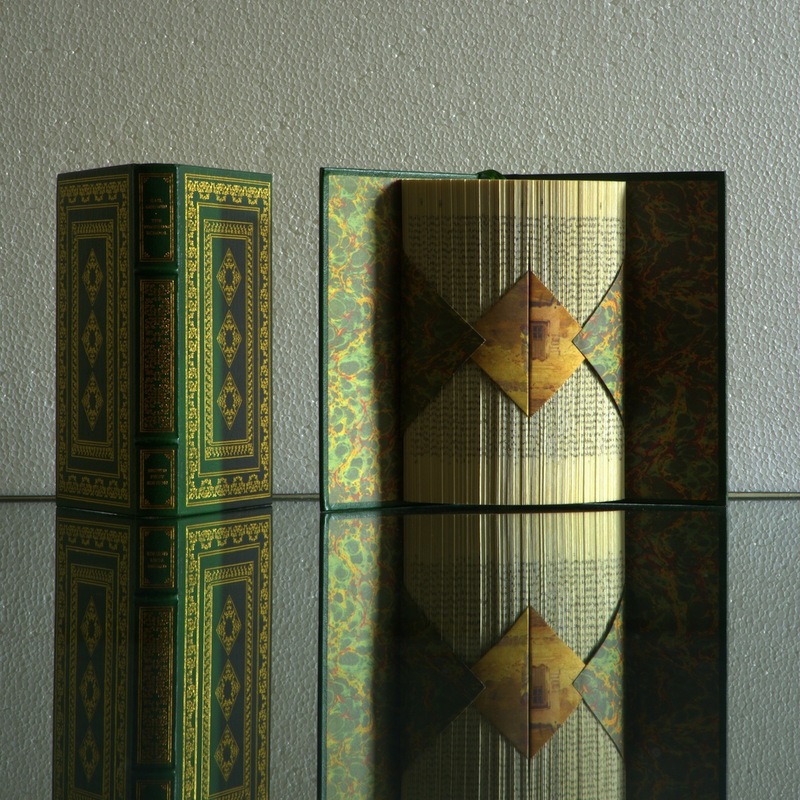 When viewed from another perspective you see the splayed out leather covers which are embossed in 22k gold. 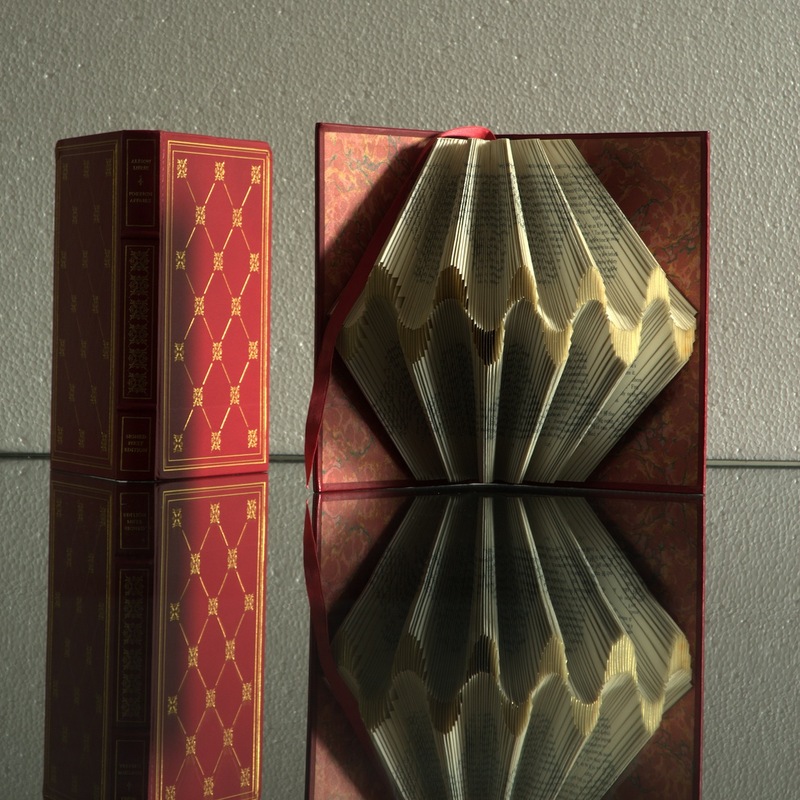 The spine of the book is hubbed with raised horizontal ridges on the spine, in the manner of antiquated books. 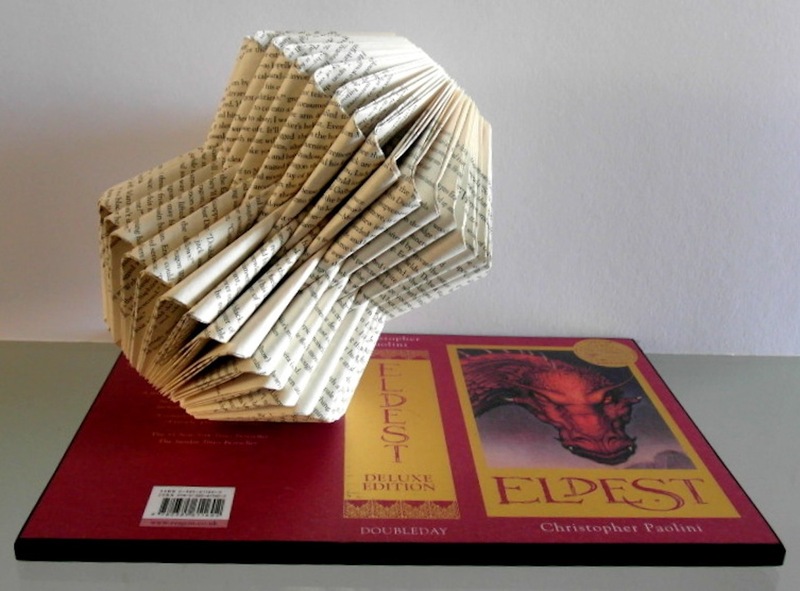 These sculptures are enigmatic from every angle. 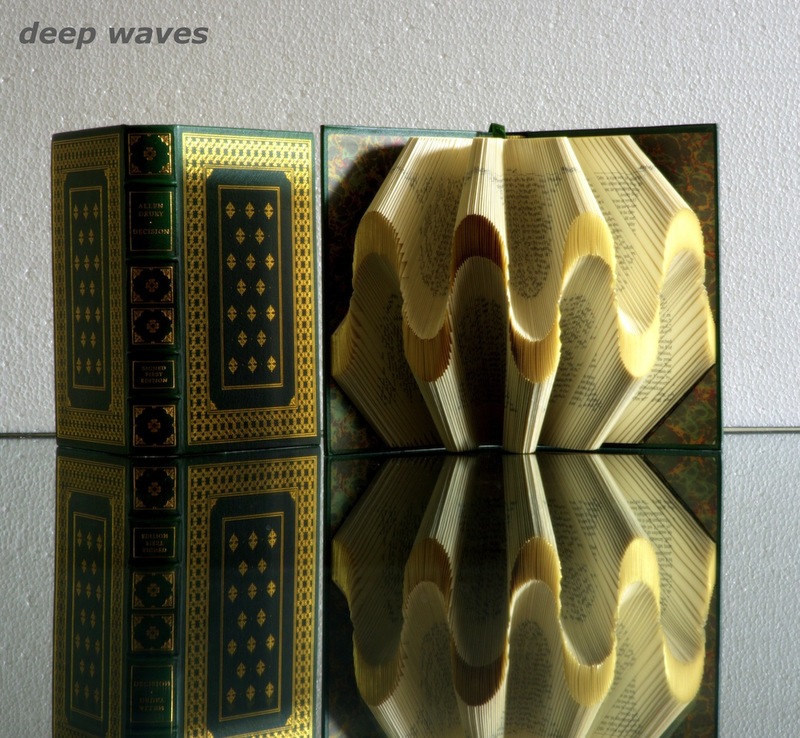 The Plush book sculpture is presented on a black reflective base with a clear protective cover. Each sculpture comes with a card signed by the artist. 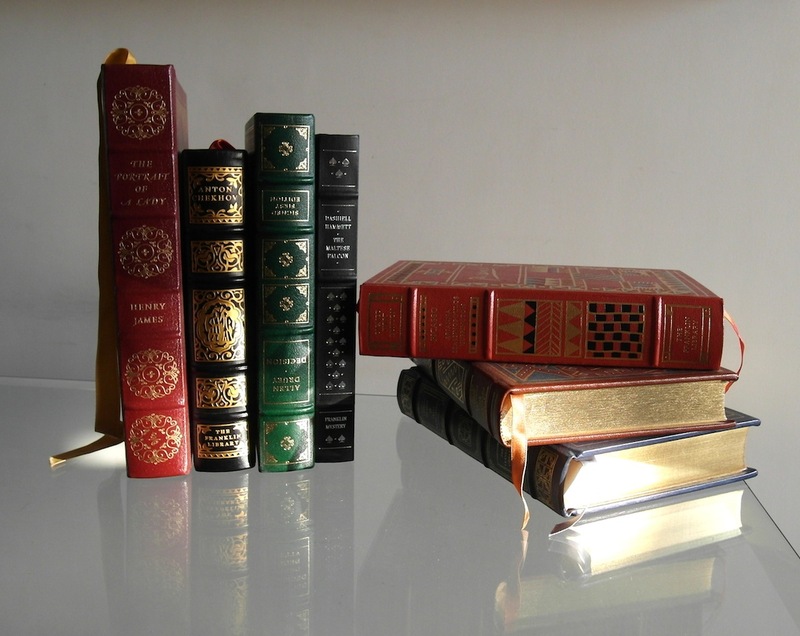 These books are known for their decorative bindings. 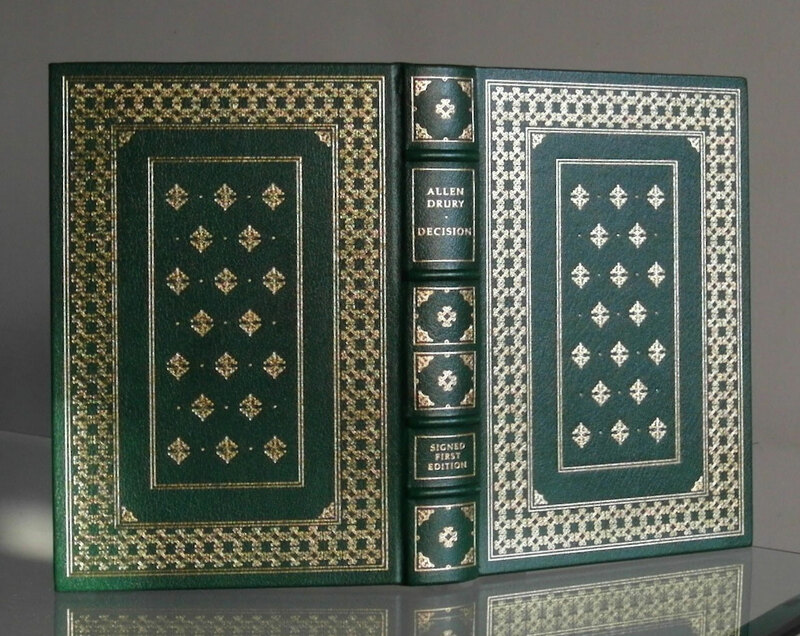 The covers are bound in real leather embossed in 22k gold. 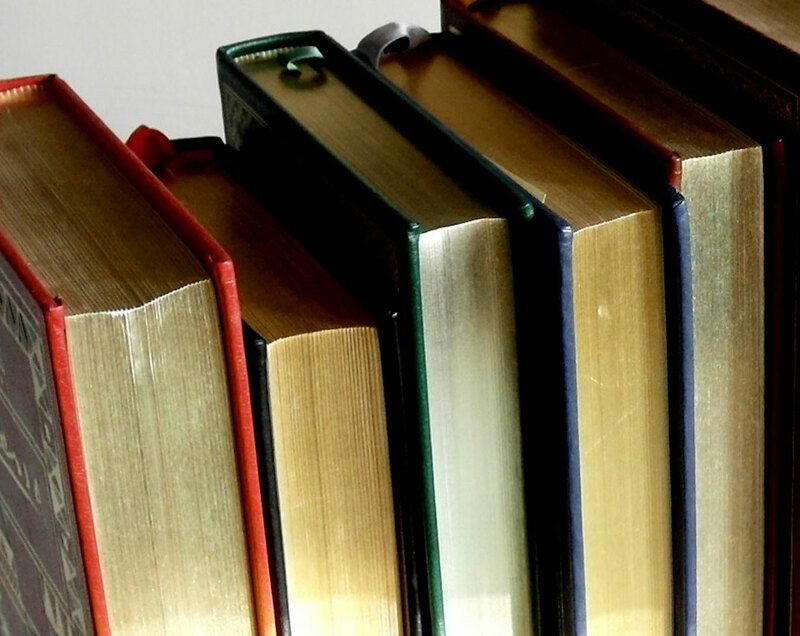 The spines are hubbed. 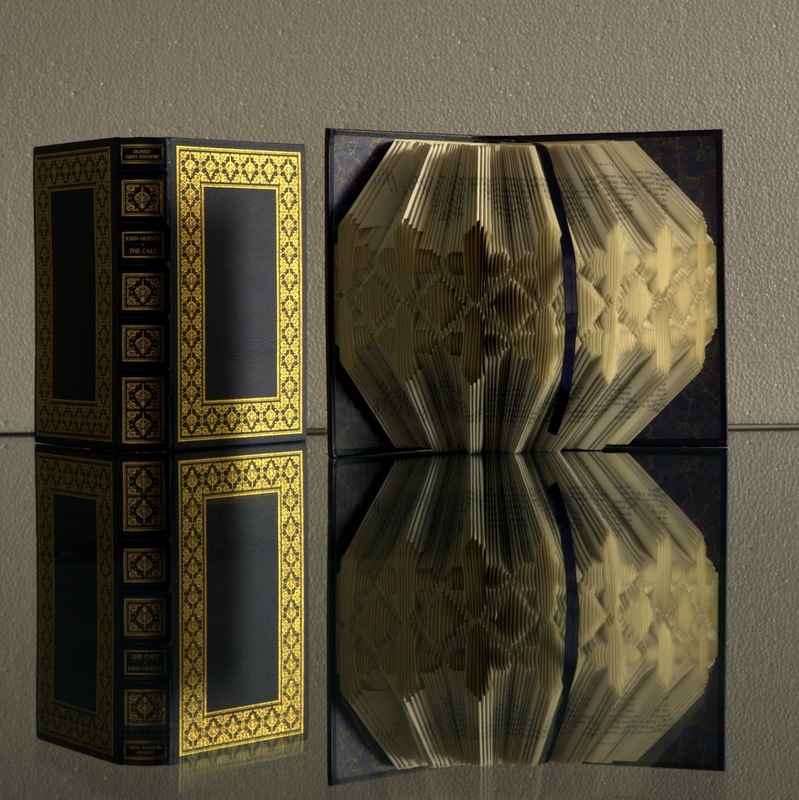 The pages are made of acid neutral paper and gold gilded in 22k gold. 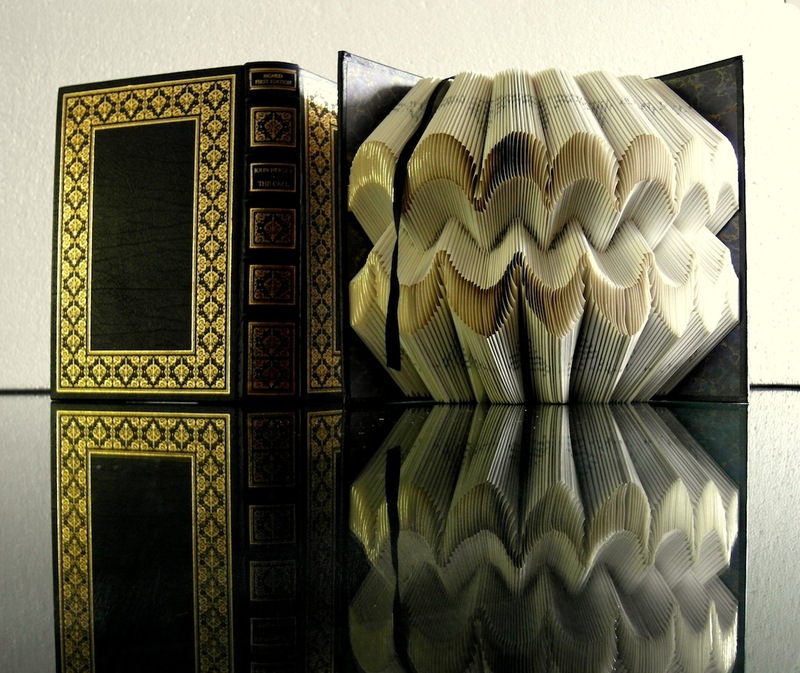 Marbled endpapers with a sewn in matching satin bookmark. 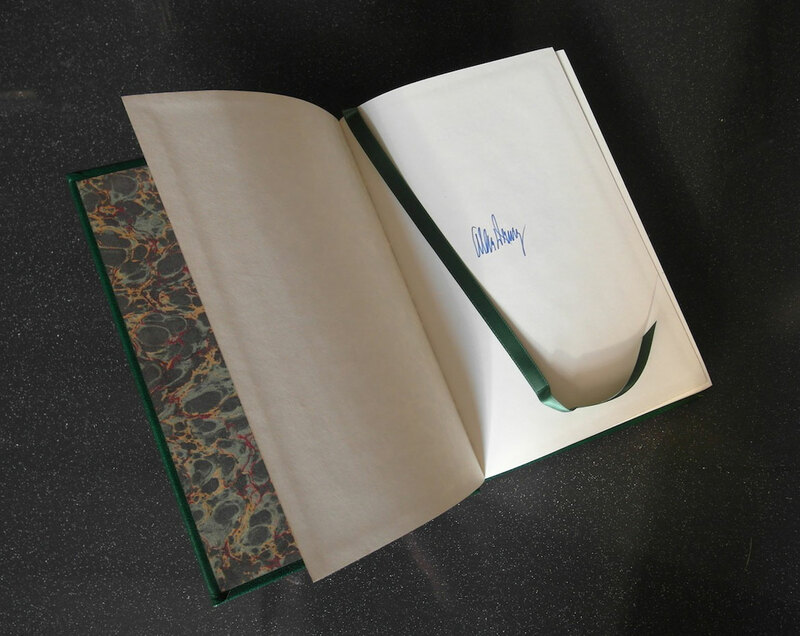 Signed by the book's author.